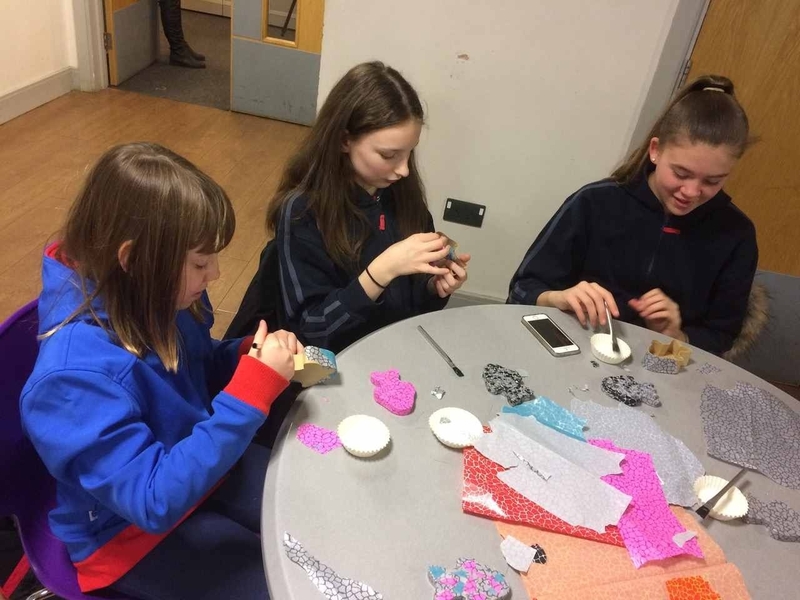 At Spring Downs District Fun Day Brownies made edible shamrock hats, daffodil stained glass windows, fish sand art necklaces and decorated a dragon keyring. The Guides went on a letter hunt round the village to spell out a name of a patron saint, decorated fish shaped boxes and made cupcakes. 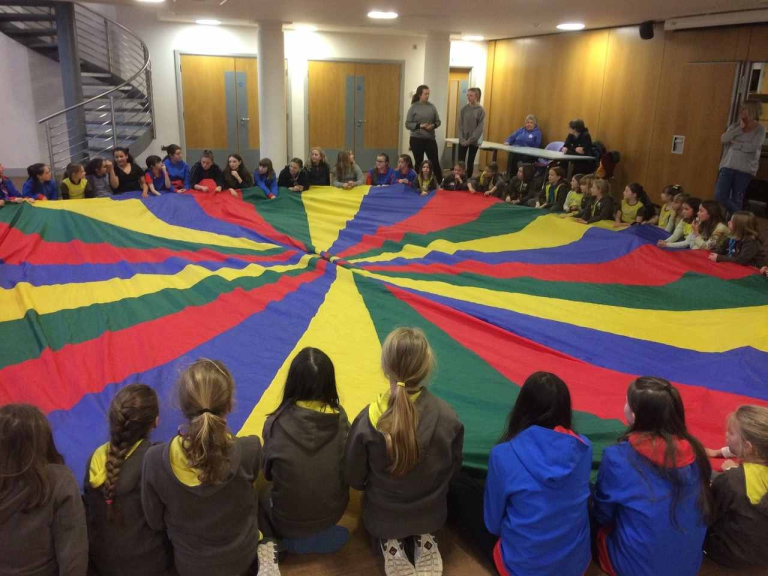 Girlguiding offer girls aged five and over weekly meetings, pack holidays, camps, days out and a lot of fun taking part in loads of activities to empower, educate and gain confidence. In Epsom Division there are Rainbows, Brownies, Guides and Ranger units with nearly 600 girls who take part in a huge variety of events. 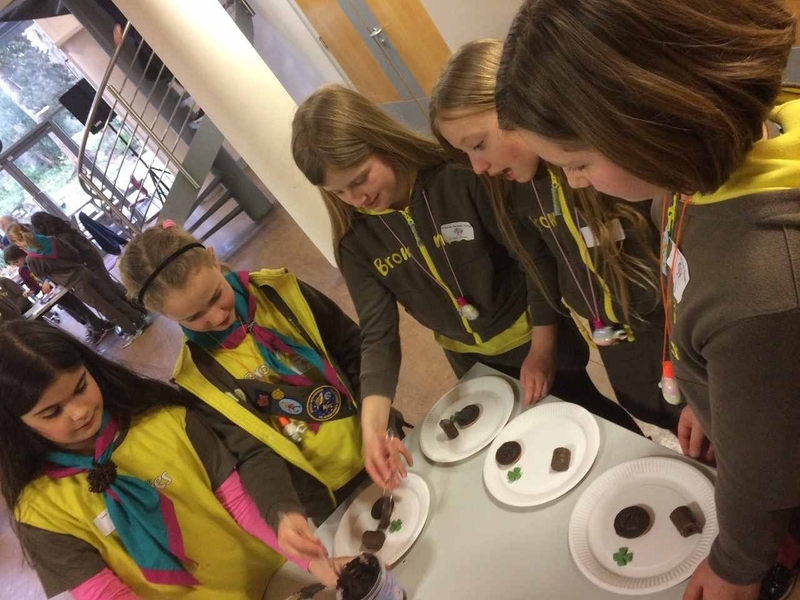 Pictured: Brownies making edible shamrock hats, Guides making fish boxes and everyone enjoying the parachute games!